This recently refurbished 1970’s property now has a very modern “New England” look and the brief given by the owners was for a “beach feel”. 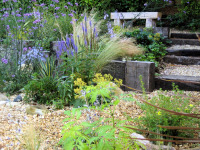 Inspiration was taken from an Australaisian style of planting with an emphasis on a naturalistic style using Phormiums, Cordylines and Pittosporum . 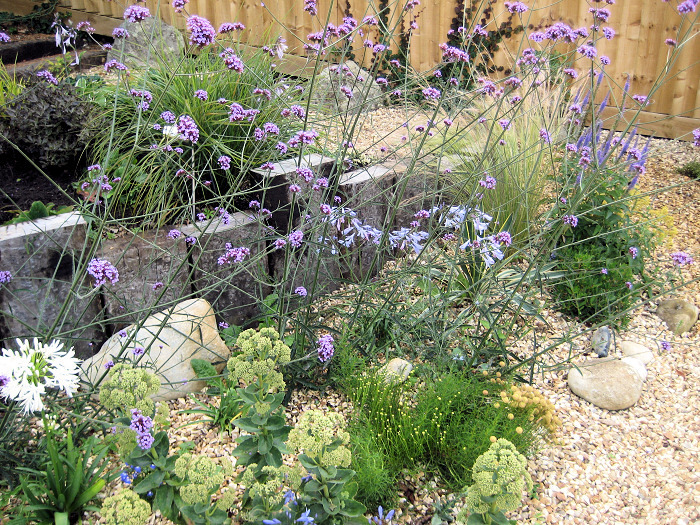 These plants tend to cope well with adverse weather conditions. 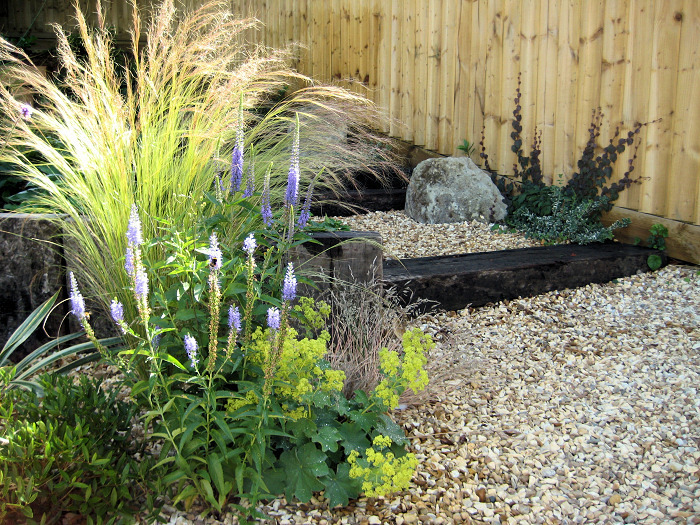 The lower level of the front garden was laid to gravel softened by pockets of planting including Agapanthas, Stipa arundinacea, Euphorbia and Veronica ‘Blue Spires’. 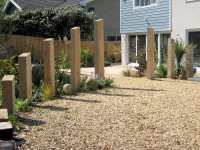 The owners expressed a wish to include mature specimens of palms and olives. 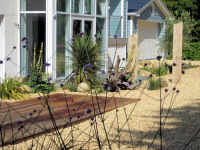 These were incorporated into the overall scheme. Upright green oak sleepers were used to divide the parking area and the main front garden. These were sandblasted giving them a softer bleached look. Reclaimed railway sleepers were ideal for creating terracing in an awkward dry shady corner. 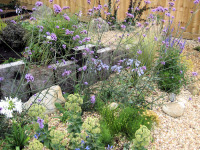 This allowed more soil to be added therefore improving planting conditions. 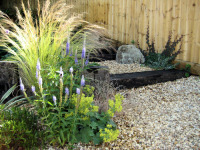 An existing stone water feature was retained as it evokes a relaxing atmosphere with the sound of running water. The addition of a large deck area provides plenty of space for entertaining which the owners enjoy.